Urban Betty Salon inspired Rebecca to go to cosmetology school. 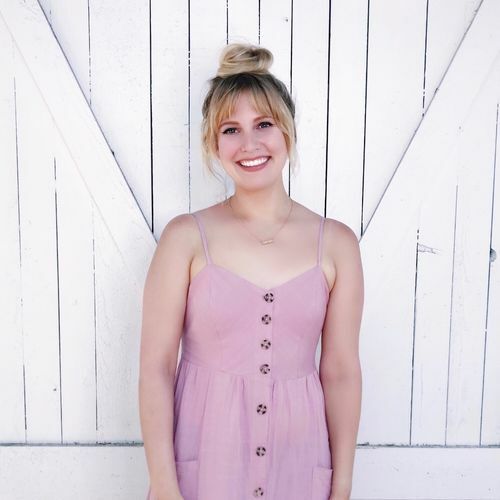 After only 3 months working in the salon, Rebecca enrolled at the Aveda Institute Austin where she graduated valedictorian of her class in January 2018. Since then, she continued her education under top UB stylist and balayage specialist, Erin Mutschler. Rebecca enjoys both cutting and coloring, providing exceptional service, and above all else collaborating with her clients to bring their hair dreams to life!